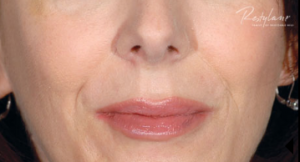 Restylane is used to correct moderate to severe facial wrinkles or folds and can also be used to enhance the lips. It’s a clear gel that is best used for mid-to-deep dermal injection. 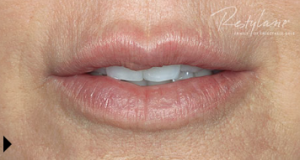 Some Restylane is actually combined with Lidocaine to help make the procedure even more comfortable for you! This particular version of Restylane does have a higher risk of allergic reaction and so not everyone will be a good candidate for the lidocaine-infused version. 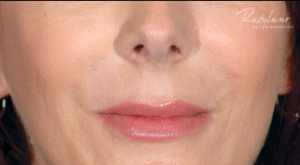 However, dermal filler procedures are very comfortable even without the numbing agent. 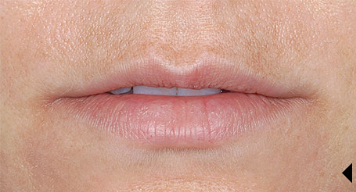 Restylane can be used to add volume and fullness to the skin at the nasolabial fold, below the nose, the corners of the mouth and the marionette lines. It has been shown to last up to 18 months with one follow-up treatment at the 4.5 or 9 month marks. 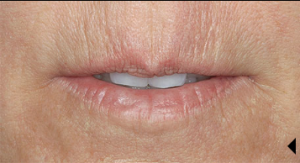 Restylane also happens to be the only FDA approved product for lip enhancement in patients 21 years of age or older, and is uniquely formulated to give your lips fullness and definition.